[#] Palla Grande this November! [#] Kings of New York - don't forget! [#] Its that time of the year ..
[#] Come one , come all..
We'd like to invite all members of OWBN to the Northeast Event. Hosting Chronicles - Hartford: Court of Storms, Springfield: City of Springs, Boston: Midnight Ride. Friday night is a Formal Elysium and Saturday night will feature a 1920s theme. Camarilla, Anarch, Independent clans are welcomed. Sorry, No Sabbat. Saturday 4-6:30 will feature the annual Giovanni Dinner. This year's event will be at the Comfort Inn – located at 900 East Main St. Meridan, CT.
Our room rates will be $79.00 /night. Parking is free. Call 203-440-9600 to make your reservation. Refer to room block "oneworldbynight or OWBN" when you call to get the group rate. Rooms are already being reserved so make your reservation before Nov 4th! At The Door: Normal fees for both nights will be $25.00. information with your Prereg. They may be sent to CosSTS@yahoo.com. Find it online at the Steampunk Magazine website. The Shadow of Crimson is a Live Action Role-Playing game set in White Wolf’s Victorian-era Vampire world. The game will emphasize role playing and character interaction but will also include political intrigue and problem-solving for individuals who wish to tackle the growing problem presented by Jack the Ripper. The game will use a simplified version of White Wolf’s Minds Eye Theatre rules, but game mechanics will be largely secondary to acting and to socializing. 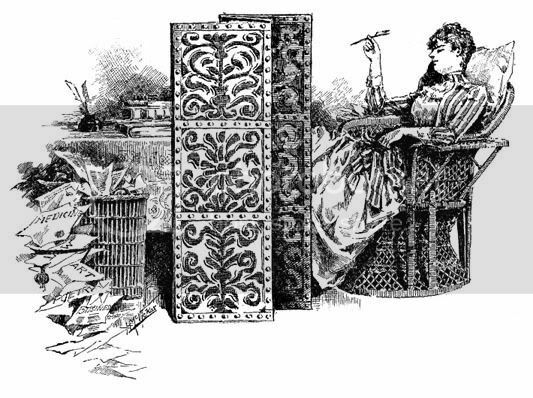 Individuals who are unfamiliar with Live Action games, or even role playing games in general, are still invited to try their hand at what is essentially improve acting in a friendly, fantasy Victorian setting. How do I get to play? What is Live Action role play? A good over view of what the wold of Victorian Age Vampire in like and other helpful odds and ends. If you like dress up as it's all part of the fun do know ,at the end of the game we will give out a small prize for best Role Play and for best costume. Saloncon this year on September 22, 2007 . The following game is open to everyone and will take place at the convention. Kings of New York - don't forget! The next Kings of New York game will take place TOMORROW night on Saturday, January 27th at our normal site, the New Haven Econo Lodge Conference Center (conveniently located right near route 15, just off exit 59). And that's not all - our annual Festivo event will be held on Saturday, March 10, and this one is going to be HUGE! Go here for info! » Its that time of the year ..
Its time for Festivo !!! During the second week of March all loyal Sabbat gather together to perform the 'Festival of the Dead'. Nomadic packs also travel to the nearest domains to take patr in the nights fesivites. The purpose of the 'Festival' is quite simple and straight forward. Each Cainite is there to celebrate their immortality and revel in the fact that they are Vampires. The celebrations peak with an enormous Blood Feast and nightly Vaulderies taking place among and between the gathered packs. Goodie bags full of fun stuff given at sign-in. The prizes are from such places as Chaosium, Cleopatra Records, metroporlis records, DC comics,White Wolf, Hot Topic ,Xbox360 ect..
are HST squirrelmadness and the AST dreamfish99 and my self Thank all who came it was so worth the months of hard work to see all the smiles and fun the players had. It looked very, very cool. The wedding dress that pentameterpunk, made from scratch was awesome and just like the 1920s photo..mad props go to her.. These are the first of the photos. 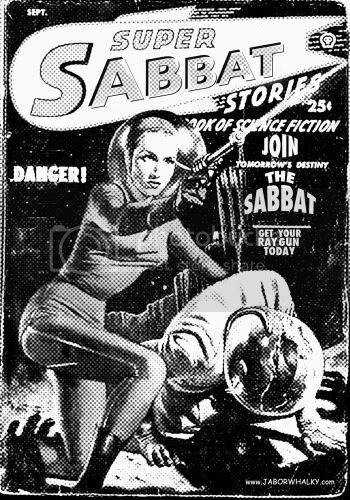 Join the Sabbat, get a ray gun! and I'm Running for Head Coordiantor. questions or would be willing to lend me support. » Come one , come all.. There will be Food, Entertainment,CD give aways,Goodie bags for all ,Game , Sword fighting and Prizes! This year will be better then last year and you will be sad if you miss out.